Just when I thought I couldn't be more impressed with Bomb Cosmetics products, they went and brought out their new range of Whoopie Blasters. Shaped just like the cookie-cake hybrid, these huge bath bombs (140g) are packed to the brim with fragrance and softening cocoa and shea butter. 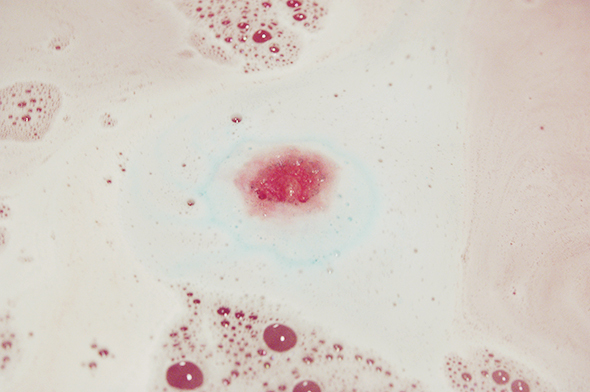 I picked up the Pink Rhubarb Princess blaster, with a very fruity scent of rhubarb and blackberry. I wouldn't say the scent is overwhelming, but I would definitely advise picking a scent you enjoy as it's very noticeable both in and out of the bath! It's decorated with an iridescent purple glitter as well as shea butter piping, making for a colourful and exciting bath. I've used a lot of pink bath bombs before, but I fell in love with the shade this particular one turned the water - hot pink. 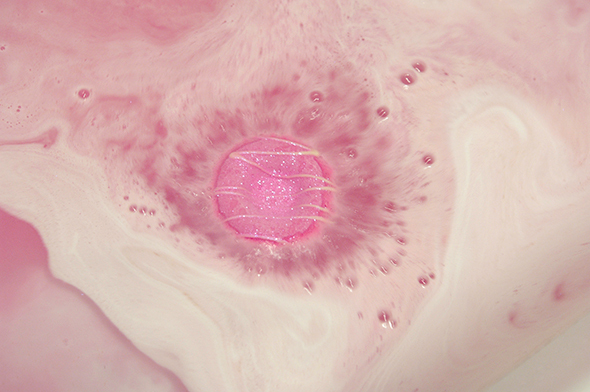 Pink water always makes baths more enjoyable, right? Bath bombs having a bit of a reputation with dry skin, I was shocked to find that this created unbelievably soft water. So soft in fact that I didn't need to moisturise after. Although admittedly the glitter did cling to my skin, it wasn't over the top and wouldn't put me off buying it again. If you suffer from dehydrated skin and feel like you can't use pretty bath bombs because of it, I'd suggest giving these a try. For the size of their products they really are purse friendly. I can't rave about Bomb Cosmetics enough! I love that you are reviewing the Bomb Cosmetics bath bombs, its always a brand that has intrigued me :) This is super cute! 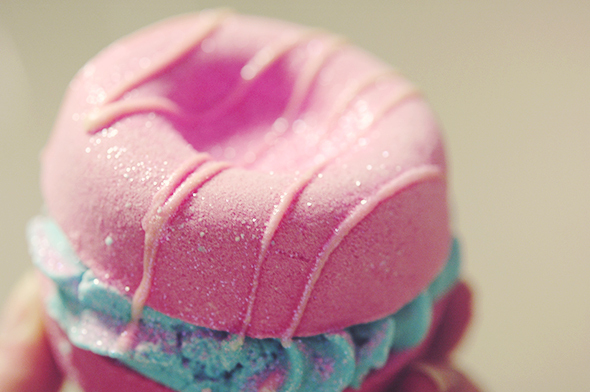 Definitely cuter than anything I've seen from Lush! They're really cheap too! I'm after loads of their stuff haha! What a cute design! I've never heard about this brand before.